Vacation rental house. Sleeps 7, 3 bedrooms, 1.5 bathrooms. No pets allowed. 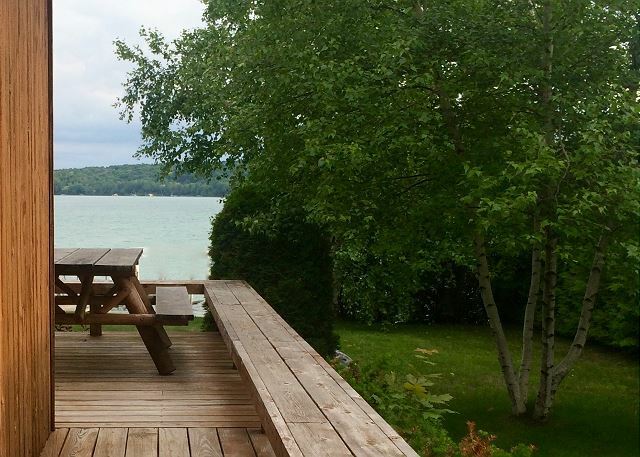 This home is conveniently located on the West Arm of Walloon Lake within minutes to downtown Petoskey, Bay Harbor and Charlevoix. Enjoy spectacular sunsets over Walloon from the hard packed and sandy waterfront. This family home features three bedrooms and two full bathrooms within a comfortable layout. There is a large wood deck overlooking a manicured lawn which leads down to the lake. A private boat dock included with the rental. This rental property is equipped with cable TV, WIFI, fireplace, gas grill and stacked washer and dryer. .